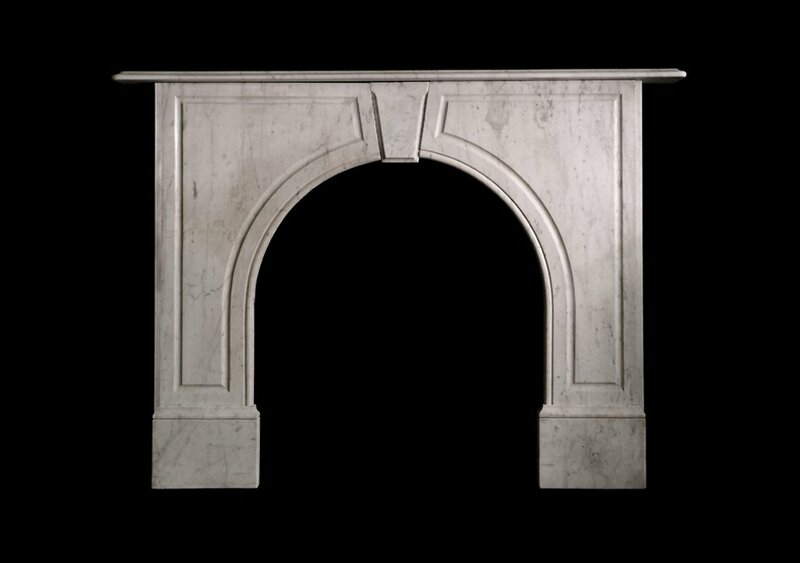 An early Victorian Arched Chimneypiece in Carrara Marble. 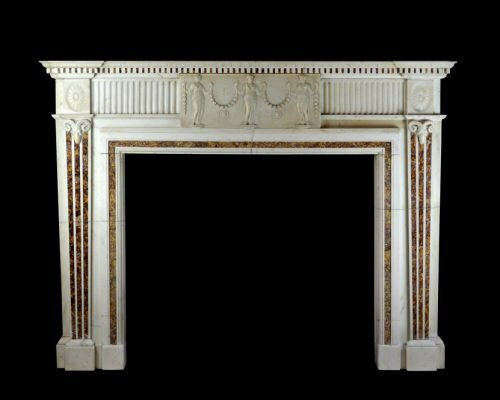 Please note this antique is located at Chesneys New York. 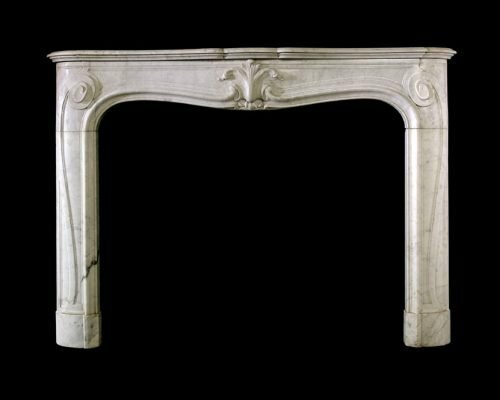 A late 18th century English marble chimneypiece of good quality and in good condition incorporating unrelated 18th century elements of similar quality and even date. 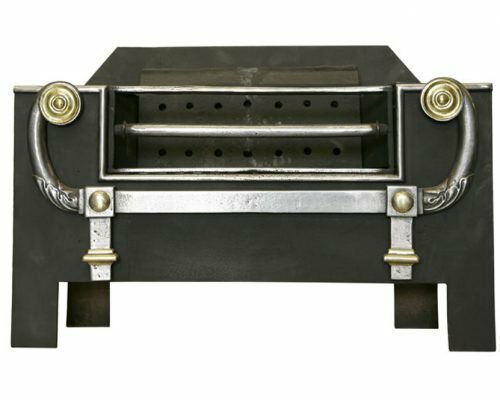 An extremely rare Hob grate in the high Regency style.